Not so very long ago, I begged the question of which authors you’d invite to a tea party. Now inspired by a discussion over at the fabulous Filling Spaces blog, I present the ten characters from novels that I’d invite to a tea party. As with any list, this proved to be a challenge. One, it’s hard to narrow down thousands of great fictional characters. Two, while I may love to read about a certain character, it doesn’t mean that I would want, let’s say Cathy or Heathcliffe over for Earl Grey and scones. 1. Miss Jane Marple: the white-haired, perceptive, ever-knitting spinster. She could relate firsthand her experiences at the Caribbean, Bertram’s Hotel, or how she discovered who killed the body that was found in the library. 2. Hercule Poirot: I would love to watch the fussy, eccentric man with the “little grey cells” trade stories with the quiet yet sharp Marple. 3. 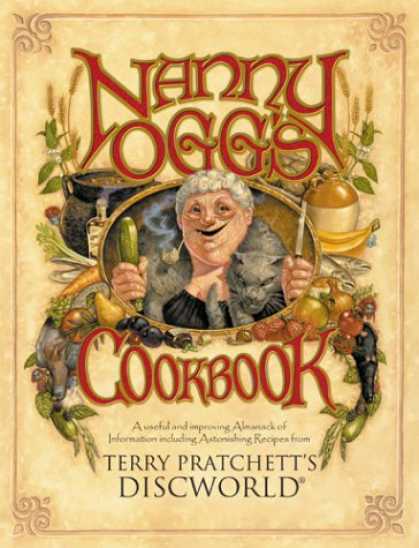 Nanny Ogg- she can bring something she baked from her The Joye of Snackes. And can regale us with her infamous rendition of, The Hedgehog Can Never Be Buggered At All. 4. Granny Weatherwax: Nanny’s best friend. Nanny, is by the way, probably the only friend Granny has. 5. Frankenstein’s Monster- yes, that poor soul who was cast out into the world alone, who taught himself how to read, who was continuously spurned by everyone- would have a welcome seat at my table. 6. The Crow Girls from the Newford novels by Charles de Lint. The twins live in trees, eat candy for breakfast, love the scent of bacon, and wield switchblades. Sure, I’d have to keep an ever present eye on them as they don’t understand the concept of stealing, but they are so full of utter joy that they’d be a must. 7. Count Fosco- the tea party would require at least one villian. This cultured and refined mastermind, with his love of bonbons, and a total devotion to his pet mice, would definitely spice things up. 8. Allan Quartermain- to hear of all his magnificent adventures. And to invite myself on his next trip. 10. Carrot Ironfoundersson- the six-foot adopted dwarf from Disc World. Utterly sweet and helpful to anyone in need, the always naive Carrot is hilarious in his proclivity of taking everything literally. 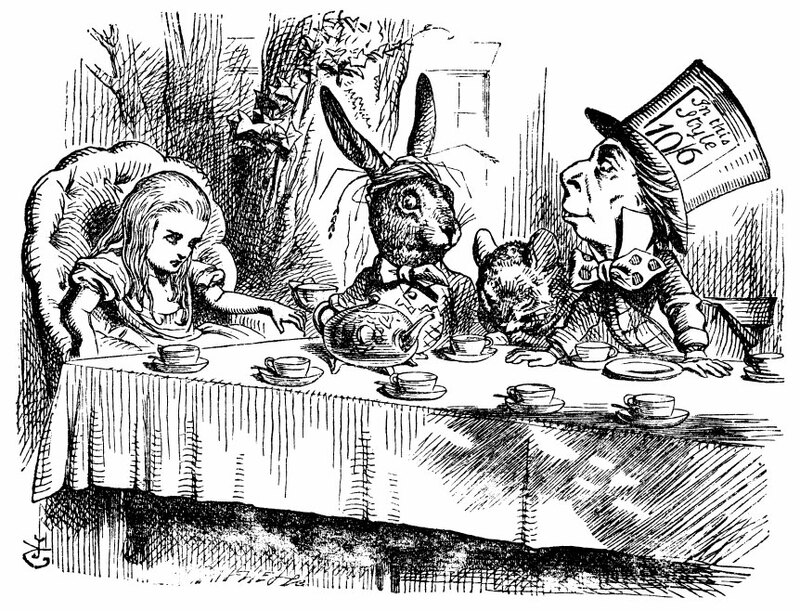 Who would you invite to your mad tea party?